Energy conservation and energy efficiency are important and urgent aspects of mitigating climate change. There are many different types of energy saving products in the market, one of which is the Hydroball system developed in Singapore. To learn more about this innovative product and its development, we have the privilege of interviewing Mr Peter Soh, CEO of HydroBall Technics (SEA) Pte Ltd. Incorporated in January 2003, HydroBall Technics (SEA) Pte Ltd has since developed, manufactured and patented the HydroBall automatic tube cleaning system in many countries all over the world. The HydroBall system is a cost-effective solution that eliminates equipment downtime and optimises energy consumption of equipment by automatically keeping heat exchanger tubes perpetually free from scaling and fouling. HydroBall Technics is engaged in the generation of intellectual property relevant to energy conservation in the area of air-conditioning systems. HydroBall Technics aims to deliver practical conservation solutions with a strong, measurable impact on energy cost management. Spearheading this effort is the Company’s proprietary HydroBall automatic cleaning technology, which the Company aims to make available for commercial distribution in all parts of the world. 1) How do your products help to reduce energy consumption? The HydroBall System is the only non-powered automatic tube cleaning system which does not require pumps, flow diverters and compressors to circulate sponge balls to keep the inner tubes of the condenser perpetually clean and subsequently consume less energy. Instead the system simply utilises the difference in water pressure to circulate the sponge balls in the condenser. The only component which uses electricity is the 3-way motorized valve which costs around SG $2 to function every month. As the system has only one moving component, this is the lowest maintenance cost among all the systems. The system is able to maintain the heat transfer capacity of the condenser at peak efficiency, which contributes to energy saving for central air-conditioning systems. 2) Can you provide some case studies on the energy savings? The Nanyang Technological University case study which was completed in March 2006 shows succinct evidence that the HydroBall system is superior. The six months independent study was conducted on the effectiveness and performance of the system. In summary, the HydroBall system efficiently cuts down the energy usage of the heat exchanger by a substantial average of 18 percent and also managed to obtain an annual savings of more than SG $14,000. 3) How did you come up with the HydroBall idea? The exponential increase in world crude oil prices, electricity tariff and energy consumption initiated the inventor to come up with an energy saving product. In addition, before the HydroBall system, there has not been an automatic cleaning system that is able to function without any prime-movers such as pumps and compressors or flow-diverters. In 2003, the HydroBall system was invented and it functions solely based on the difference in water pressure. The HydroBall system helps the building owners to save their company’s electricity bill by cutting down on energy wastage and improving the chillers’ efficiency, and also reduces the usage of anti-fouling chemicals which may be harmful to the environment. 4) What advice would you give to entrepreneurs who are interested in developing new green products? Entrepreneurs must have a clear vision of the goals that they are trying to achieve. They must have a strong belief for their own products in order for them to succeed. Being opportunistic and creative also plays an important factor. They have to bear in mind that global energy conservation is through constant innovation. 5) Please describe your company’s green practices. One of the company’s main policies is to reuse, reduce and recycle. All employees are encouraged to reuse collected paper that has been used on one side for draft printouts and photocopies, and use refillable pens and tape dispenser. Likewise, employees reduce the usage of papers by making all photocopies and printouts double sided, reduce margins widths of the printouts and previewing documents carefully before printing it to avoid wasted paper. HydroBall also uses mostly energy saving lights to reduce the amount of energy consumed. All employees are also required to switch off all electrical appliances whenever unused. Lastly, HydroBall office has paper, can and glass recycling bins to promote environmental friendliness. 6) What advice would you give to companies and organisations who are interested to go green? The first consideration in designing a green product should be one of environmental sustainability. It is no longer sufficient to take care of the products you make from cradle to grave. At the end of their useful lifespan, their parts must not end up as non-recyclable wastes or environmentally harmful wastes. Companies need to consider taking care of their products from cradle to cradle. In the process of manufacturing their product, there must be waste minimisation and conservation of valuable resources such as raw materials and electricity. By doing so, companies not only lower their costs of manufacturing but also help save the Earth from rapid unsustainable depletion of natural resources and accumulation of unwanted materials. Companies which are not into manufacturing can also do their part through energy conservation. They can be more effective in doing so by monetizing potential wastages and calculating the costs. Staff should be incentivised to cultivate good habits like saving water and electricity, reduce wastage and to recycle useful waste materials. 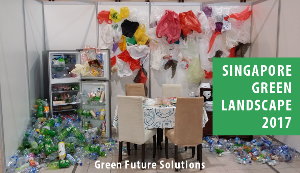 With climate change and rapid environmental degradation all over the world, it is everyone’s responsibility to go green as it is no longer an option. This interview is conducted with Mr Peter Soh, CEO of HydroBall Technics (SEA) Pte Ltd. Visit HydroBall’s website at http://www.hbt.com.sg/.